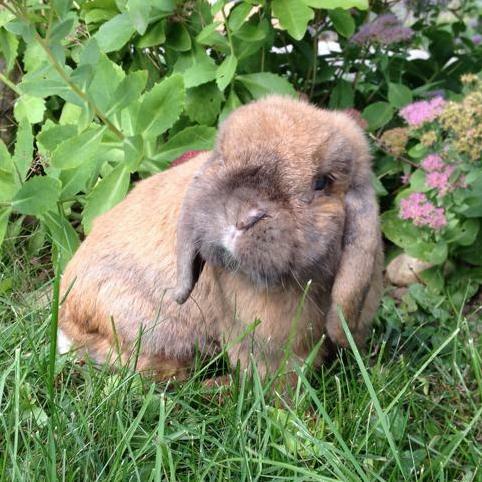 Considerations and concerns for senior rabbits. Adelina Mae, 10, Alicia W.H. Mr. Toes, 9, Renee T.
What Does it Mean to Be a Senior Rabbit? Rabbits are considered seniors once they reach about eight years old (though some say a rabbit's senior years begin as young as six years old). Like in humans, a rabbit's needs change as they age. To ensure that your rabbit has a healthy quality of life as they enter their “golden years,” it’s important to understand how their diet, activity, lifestyle, health and environmental needs are changing. Senior rabbits often require some changes to their enclosure. If they are housed in a double story house, it may be time to consider a single story space. Make things comfier (and prevent any unnecessary wear-and-tear on their joints) by adding some soft carpeting or sherpa fabric to their pen. Make sure they have plenty of traction to help them get their footing. Add some small neck pillows or stuffed animals for them to prop against if they are feeling weak. Some rabbits like to lay their bellies over these items to take pressure off their back or hips. It may be a good idea to consider switching to a low entry litter box, too. These boxes are much easier to get in and out of. See our Litter Boxes page for more information. Also make sure that important items - food dishes, water bowls - are easily accessible. We talk a lot about a healthy rabbit diet in our Diet section, but it is important to note that senior bunnies need some extra attention when it comes to a good diet. Once a rabbit reaches about six years old, it’s important to keep a close eye on how much they are eating and how well they are maintaining their weight. If everything remains normal, keep feeding their current adult portions of hay, pellets and veggies. It is important to keep in mind, though, that senior rabbits are prone to obesity because they are generally less active than younger rabbits. So, be sure that you monitor their weight and keep them eating at an optimal level. This may mean restricting their diet if they are overweight or increasing it (or adding supplements) if they are underweight. If your rabbit is struggling to keep their weight up, you may consider feeding alfalfa hay (with the approval of your vet), free-feeding pellets and/or adding a whole-diet supplement such as Oxbow's Critical Care to their diet. See our page on Supplements for more information. The senior rabbit lifestyle is often quite different from that of younger rabbits. 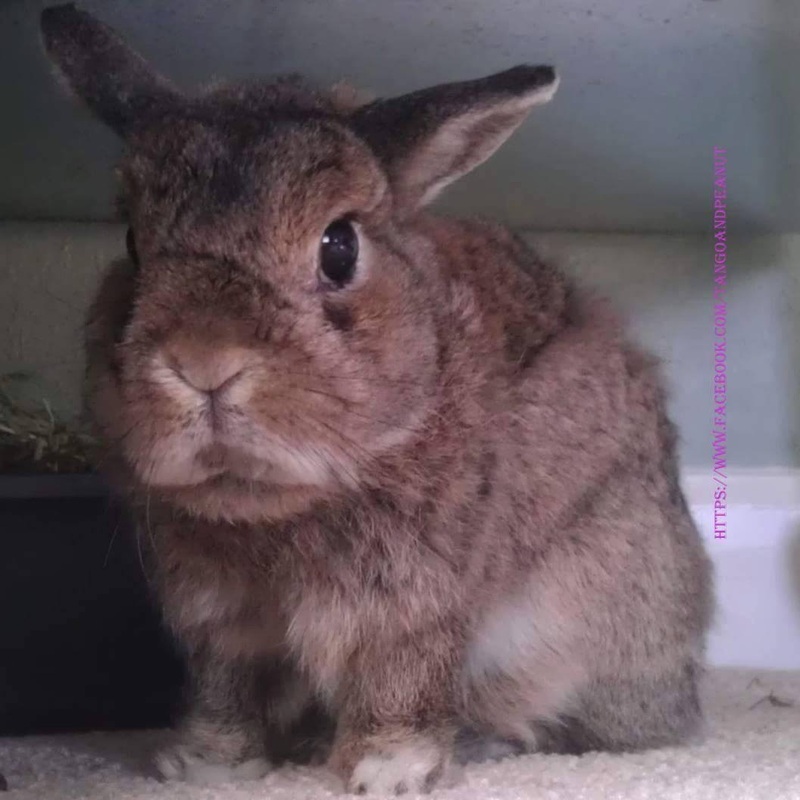 Where they might have enjoyed hopping and exploring in their younger days, in their senior years they may be content to cuddle on the couch or receive pets for an hour or two. Of course, this is not true of all seniors. We know some whom you would never guess to be older because they are still so energetic and curious. But, for most seniors, slowing down is natural. It is important that you still encourage exercise and keep them active both physically and mentally. Make sure that play time remains an important part of their routine. Interact with them. Play games. Try logic toys like the Living World Teach 'n Treat Toy. These toys are great for exercising the mind- and they're fun. Other activities, like foraging, or simply putting your rabbit's favorite treats or toy just out of reach, are great ways to keep your rabbits active, both their body and their mind. And of course, don't forget to make lots of time for cuddles. It is not uncommon for senior rabbits to have some trouble maintaining their hygiene. Grooming becomes a little tougher as the joints wear down and they may be prone to messier bottoms from accidents or stiffness when using the litter box. Make sure you groom them regularly, and don't forget their ears. If their bottom is looking a little messy, see our Baths & Cleaning section for tips on cleaning them up. For more information on these topics and how to treat them, visit the following links: Urine Scald, Sore Hocks, Arthritis. Senior bunnies may also have trouble staying warm (particularly in cooler months), so have a heating pad or warm water bottle on hand when temperatures drop. See our Warmth page for more tips on this issue. Once your rabbit enters their senior years, it is important to do at least once yearly checkups with your vet. 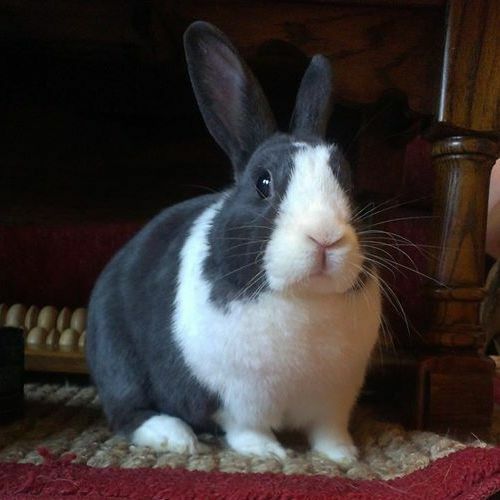 Conditions such as blindness and deafness as well as mobility loss are common in senior rabbits. Your vet can help you anticipate, prevent and/or treat these conditions as well as keep an eye on your rabbit's overall health. We have a very special place in our hearts for elder bunnies. Yes, they will require some extra care. They may not have that same pep in their step as they did when they were younger; the days of binkies and bunny 500s may be coming to an end. But senior bunnies still have so much life left to live and, we think you'll find, so much left to give to those who care for them. Be prepared for some changes, but embrace them. And, most importantly, stick by them through it all.